Italy’s environment minister has hit out after a sperm whale was found dead with 22 kilograms of plastic in its stomach. The dead mammal was found near the tourist spot of Porto Cervo, on the northern tip of the island of Sardinia, according to Sergio Costa. 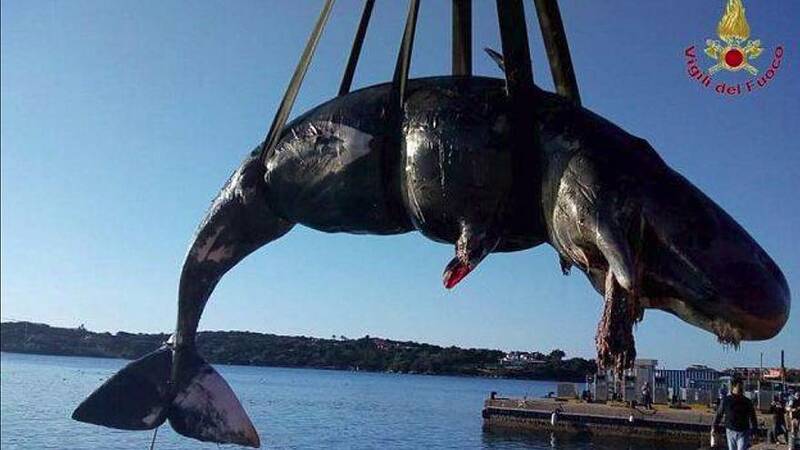 Luca Bittau, president of non-profit Sea-Me, said the whale was pregnant and that the fetus was in an advanced state of the composition. Italian environmental minister, Sergio Costa took to Facebook to call this environmental tragedy "a priority" for his office. "Marine litter affects all marine world, not only Italy, of course, but every country in the world has the duty to apply policies to fight it: not today ever yesterday, " wrote Costa. Costa said the carefree way people have disposed of plastics for years has led to these animals paying the consequences. Marine litter has come under the spotlight because 85% of it is plastic. Last week MEPs voted by 560 to 35 in favour of banning 10 single-use plastics including plates, balloon sticks, food and beverage containers made of expanded polystyrene and all products made of oxo-degradable plastic. These are the 10 most found items on EU beaches. According to UNESCO, plastic debris causes the deaths of more than a million seabirds every year, as well as more than 100,000 marine mammals. In March, an autopsy of a young male Cuvier’s beaked whale that washed up on a beach in the Philippines found 16 rice sacks, 4 banana bags and multiple shopping bags inside the mammal Marine biologists who performed the autopsy said it was “the most plastic we have ever seen in a whale”.